The General Data Protection Regulation (GDPR) set to go into effect at the end of May continues to have a sweeping influence throughout the world -- not only in Europe with retailers, search engines and publishers, but also in California. The California Consumer Privacy Act of 2018 ballot initiative could give consumers the right to ask businesses what personal data is being collected about them and how it’s being used. This policy, which has been around since September 2017, will be voted on in November 2018. It recently rose to the top of discussions, based on data leaks and the Cambridge Analytica scandal at Facebook. The law would give Californians more information and control over how their data is being used, but would also put the onus on consumers to request information about who is collecting the data and how businesses will use it. The difference is that the GDPR requires that businesses default to opting out of collecting data unless given explicit rights to do so by the consumer. It would require businesses to make disclosures free of charge within 30 days. "The measure would also allow consumers to sue businesses for security breaches of consumers’ personal information or for other violations of the initiative’s provisions," as is stated in the proposed ballot. 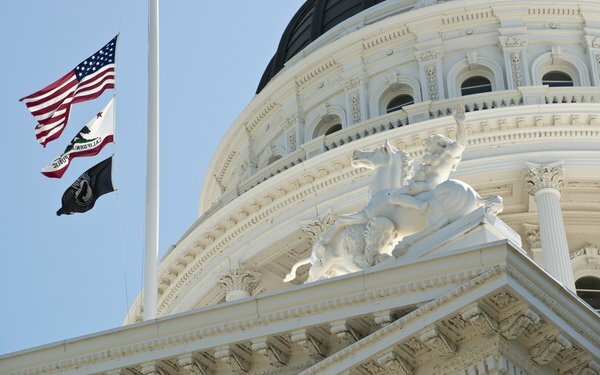 The act will apply to every company that uses data from residents of California. Among the leading companies that are countering the ballot are AT&T, Comcast, Google, Facebook and Verizon, the parent company of AOL and Yahoo, according to the proposed ballot. California requires 5% of signatures of votes cast in the preceding gubernatorial election. In this case, about 365,880 valid signatures are required. Verification is due by June 28. Petitions are allowed to circulate for 180 days from the date the attorney general prepares the petition language. Signatures need to be certified at least 131 days before the general election. 1 comment about "California's GDPR-Like Privacy Law Could Rewrite Digital Ad Rules". Robin Caller from LOLA GROVE, April 6, 2018 at 6:20 p.m.
Don't worry California, we've already built an automated solution. It's in use already to protect household brands against class actions under the TCPA and can easily handle these consumer rights issues.